The UK has a problem: thanks to bad plumbing and a groaning sewer system, 'grey water' — the stuff that comes out of your dishwashers and washing machines — is ending up in rivers, bringing all sorts of contaminants with it. Hi-tech solutions exist to monitor the problem, but a much cheaper (and more amusing) option exists: tampons. Working out where grey water is coming from is normally an expensive and time-consuming process. You can add dye to the source, to test a specific building to see if it's the cause, or, you've got the option of expensive fiber-optic cables, or repeated water sampling. But thanks to the specific type of contaminants found in grey water, a simpler solution exists. Optical brighteners are compounds put into laundry detergents to make your whites whiter. They do this by absorbing invisible UV light, and re-emitting it as a blue-white color. The compounds also tend to stick to fabrics like a leech sucking the last leg in town. Together, that means that if you dip a piece of absorbent, untreated cotton into contaminated water, it should glow under UV light. 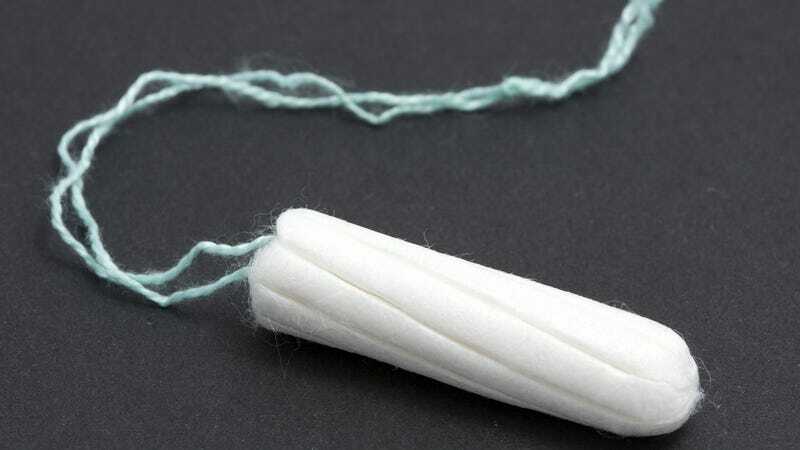 So, a team from the University of Sheffield did just that: they stuck tampons into 16 surface water sewers, tying the tampons to bamboo poles with the oh-so-handy attached string. The result: 9 samples glowed under UV light, confirming Sheffield's waste-water problem.